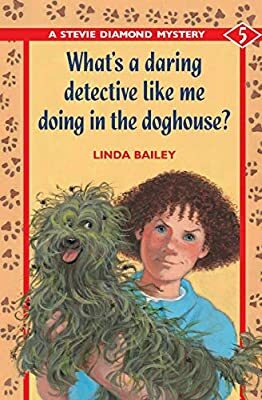 Books Set In: What's a Daring Detective Like Me Doing in the Doghouse? Description: The fifth book in the best-selling Stevie Diamond Mystery series, What's a Daring Detective Like Me Doing in the Doghouse? stars a pair of true-to-life kids who solve mysteries on their own. Stevie and Jessie find a lost dog in Vancouver and accidentally dye it green. To their horror, they discover that the dog belongs to the visiting American president -- and that it has been stolen! Can they undo the dye job and catch the thief all in one short week? As the plot thickens with a host of suspicious characters, mystery fans are guaranteed a fast-paced, funny and compelling adventure that will keep them guessing to the end.